3D Printing has been widely appreciated nowadays because of its capabilities and a whole lot of benefits. Every industry actually finds different usages and advantages that the 3D printing has to offer. Because of this, there are many innovators who ask how it is made and what things are used to make it. 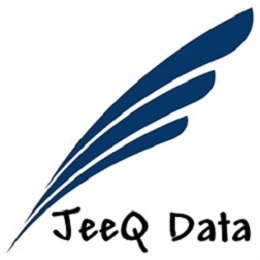 The JeeQ Data crunched out information so that the followers understand 3D printing better. 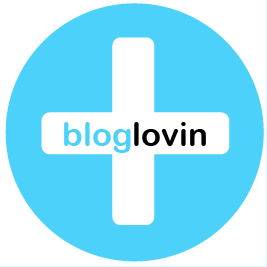 The information pertains to the online purchases usually done by tech savvy persons, as well as those who are really interested of it. The JeeQ understands that most of the users and creators of any 3D Printing objects for different purposes are looking for ways to make 3D Printing even more convenient, fast, and efficient. Because of this, JeeQ Data focuses on the data to verify each printer and why innovators are stunned with them. The most common 3D printers available in the market now are the Cube 3D Printer, Da Vinci 3D Printer, and many more. Based on reports, reviews, and statistics, the bestselling 3D printer in the third quarter of the year is the Cube 3D Printer, which is based on the 3D Systems. With a listed retail price of $999, it was up on the first rank from its previous rank of fifth place. There are great reports and reviews about the Cube 3D Printer, which make it on top of the list. Another popular printer is the Da Vinci 3D Printer, which is based on the XYZ Printing. 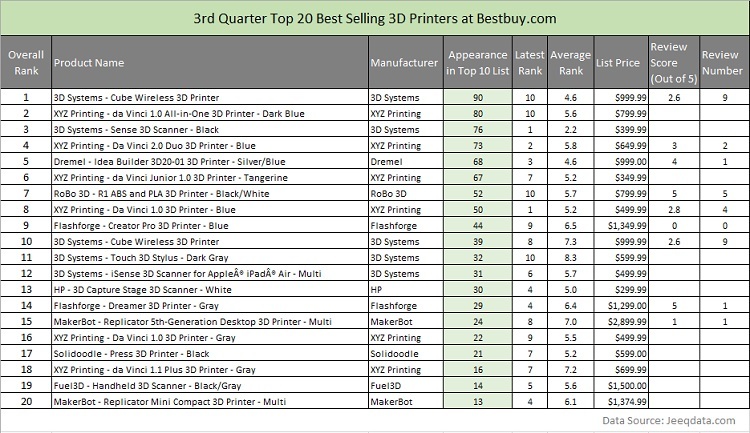 It is on the second place in the list for the bestselling 3D printers for BestBuy.com. Its retail price is $799, and it has been widely used for different 3d printing purposes that include printed tacos and printed educational materials. The 3D Systems – Sense 3D Scanner, XYZ Printing in Da Vinci 2.0 Duo, and the Dremel Idea Builder are on the third, fourth, and fifth place consecutively. This ranking is based on the BestBuy.com listing. On the Amazon.com listing, the bestselling 3D Printer is the FlashForge Creator Pro, taking its first spot on the rank. It is priced at $1199 on Amazon and $1349 on BestBuy. Following it on the list is the 3Doodler, which is ranked as the amazon second bestselling 3D Printer. It is a user-friendly 3D Printing tool and pen that is so much fun to use. It is priced in Amazon at only less than $100. On the third, fourth, and fifth rank as bestsellers, Amazon recorded the Prusa i3, LulzBot mini, and Samto 3D Stereoscopic Printing Pen respectively. The WalMart and Home Depot gave their lists as well, and among the 3D Printers that got the top ranks, based on WalMart list, are the FlashForge Creator 3DFFGCREWO Woodcase, which is on the top, followed by the Afinia H480, and the LeapFrog Creator A0171. From the Home Depot list, the Idea Builder was ranked on top, followed by the Replicator Desktop, Replicator Mini Compact, and H series H480 Desktop. JeeQ Data knows that it is a big help to release the bestselling 3D Printers worldwide to help innovators on 3D printing to decide which one is best to use.